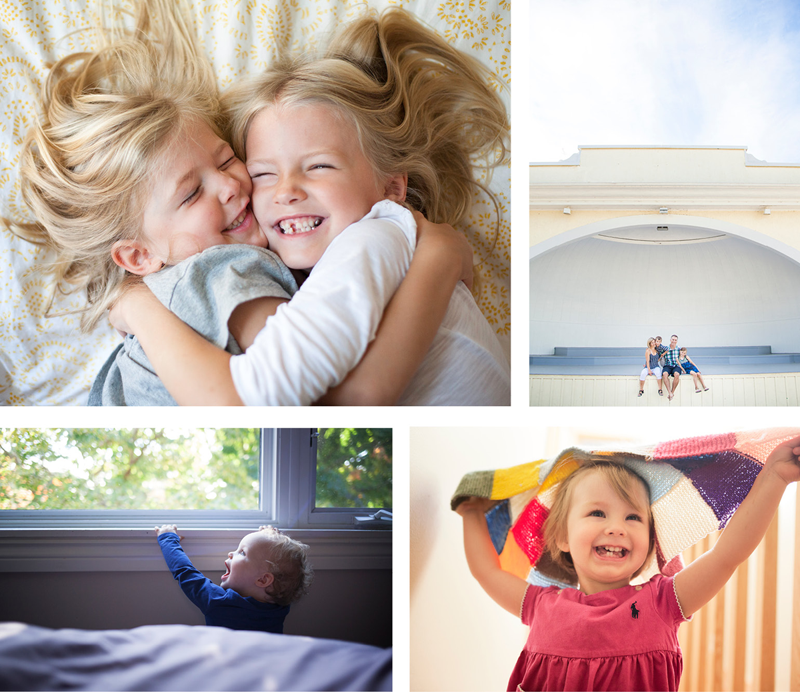 My approach to family photography is centered around real and authentic moments. That may mean things get messy, tears are shed and tempers flare. fleeting moments, those are the memories that form to create your family story. A great starter session for those interested in capturing special moments together and spending just enough time together to relax and get comfortable in front of the camera. • 90 minute photo session. • Up to 50 edited high res images. Hosting a family reunion or celebrating a milestone birthday? This session is the perfect package to capture moments with extended family. It allows more time to relax and get comfortable, resulting in many more candid and authentic moments AND all the vignettes of small family photos everyone loves to have. Perfect for a family who loves to “do their thing” and be in their element. This session is also a great option to tell your family story with additional time to capture more memories. • 3 hour photo session. • Up to 75 edited high res images. Capture both the beautiful time BEFORE your little one arrives and the overwhelming joy when your new baby arrives with this photo session package. Book your sessions in advance so you don't need to think about it once baby arrives and you're a wee bit sleep deprived. From quiet moments preparing the nursery to sweet baby snuggles and everything in between, I will capture those precious moments that shape your family's beginnings. • 2 x 60-90 minute photo sessions. • Up to 50 edited high res images per session. All sessions include a pre-session call or email consultation, travel time within the GTA, location recommendations if outside of home, photography session, private online gallery, hand-editing for final images.